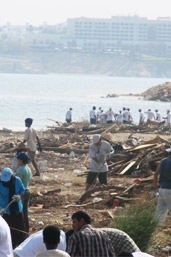 Aim To reduce the use of plastic bags throughout the Sultanate. 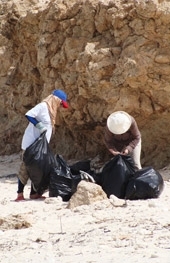 Plastic bags are used at all retail outlets in Oman, and often unnecessarily. Customers rarely say “no” to the bags and staff behind the counters, unaware of the environmental concerns, use bags even when someone is just buying a bar of chocolate. Plastic bags use valuable energy resources and are responsible for emissions in their manufacture. More importantly, on current estimates they take up to 1,000 years to degrade, polluting the environment and causing harm to wildlife all the while.